2011 Volvo FE 6x4 Auto, Dual control, McDonald Johnson Side-loader wheelie bin compactor. Disc Brakes all around, lovely example of the FE Volvo which is very popular in the waste recycling industry. Can sell as cab and chassis if required. Excellent condition, suit new truck buyer. Lazy Axle Bogie with diff lock, Palfinger 9501 Crane. 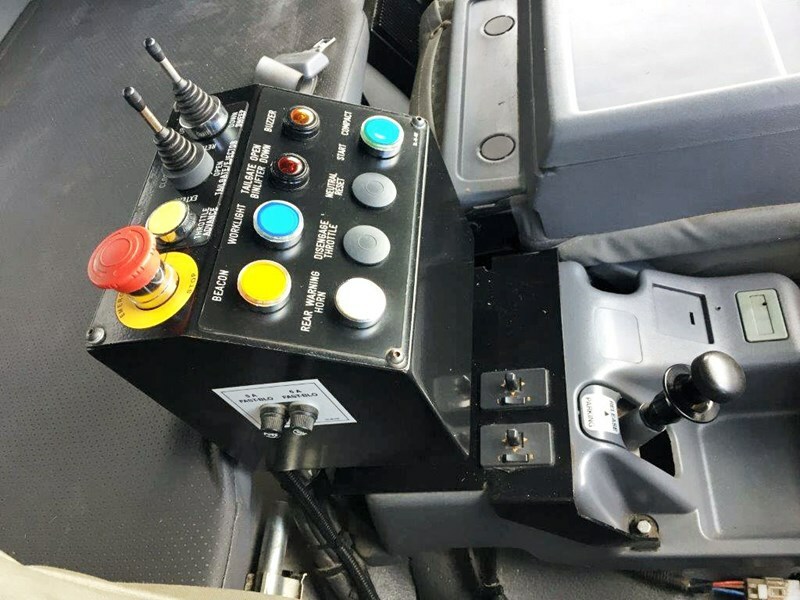 Air suspension with driver controls.